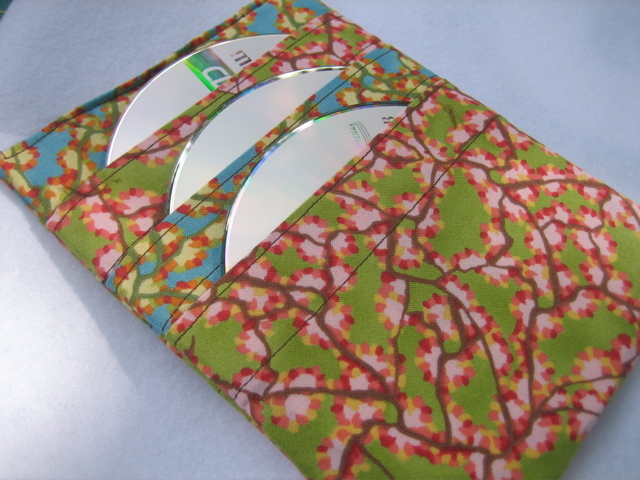 For this simple project, I’ll give you the basic dimensions and steps to make your own CD Poket to hold 6 CDs with the finished size of 5 1/2″ x 7″. 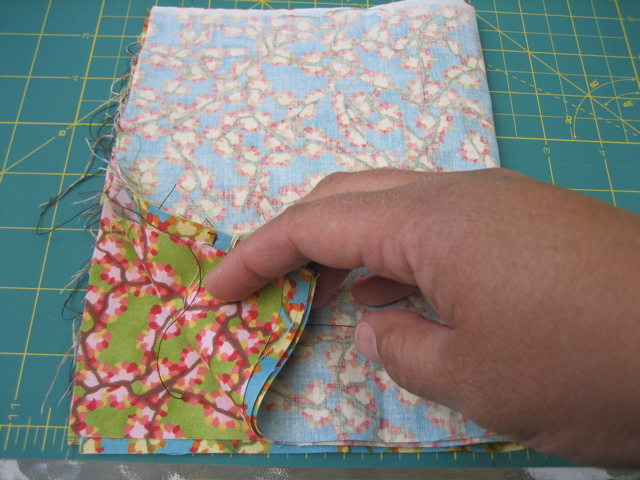 You can make yours larger or smaller by easily adjusting the amount of pockets. *This tutorial is meant for personal use. Please don’t sell CD Pokets made from these instructions. 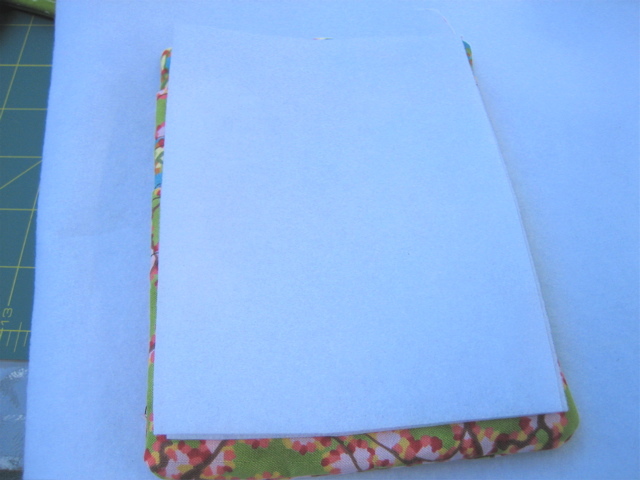 Fold and press 1/4″ along the length of each piece. 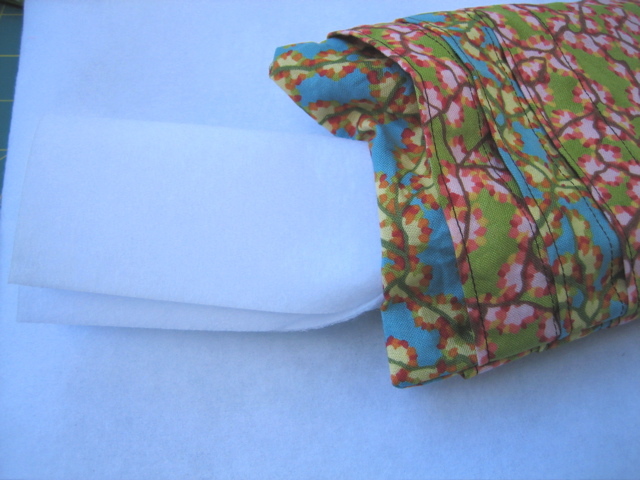 Then fold and press 1″ to form the hem. Sew the bottom edge of the hem on wrong side as close as possible to the edge. 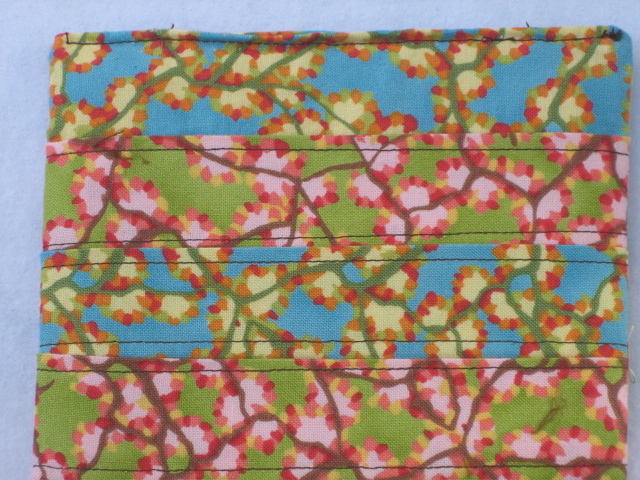 If you want, you can also stitch along the top of the hem for a crisp edge. Place piece B on piece A with right sides facing up and the bottom edges lined up. 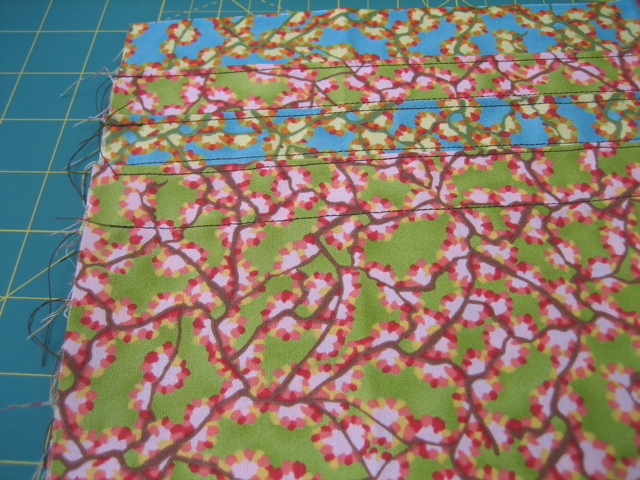 Mark a parallel line 4″ from the top of piece B across the entire length of B. Sew A & B together along your line. 4. Pin layers together and with right sides together, fold in half. Pin again through all layers making sure the hemmed edges match up. 5. 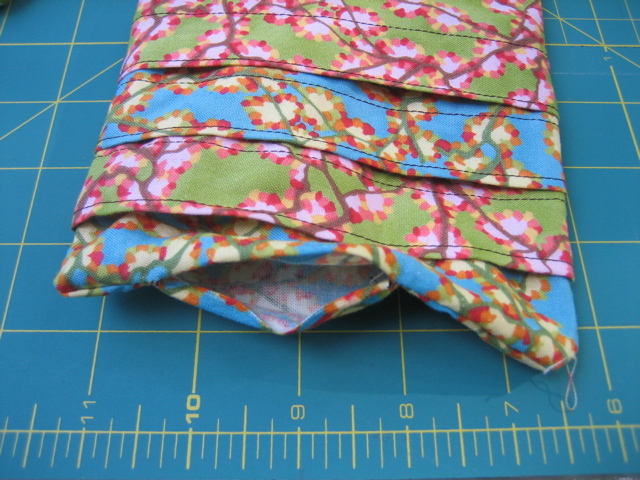 Starting at the bottom right corner, sew, (using 5/8″ seam allowance), across bottom, along raw edge and about a fourth of the way across the top. Leave a small opening for turning. 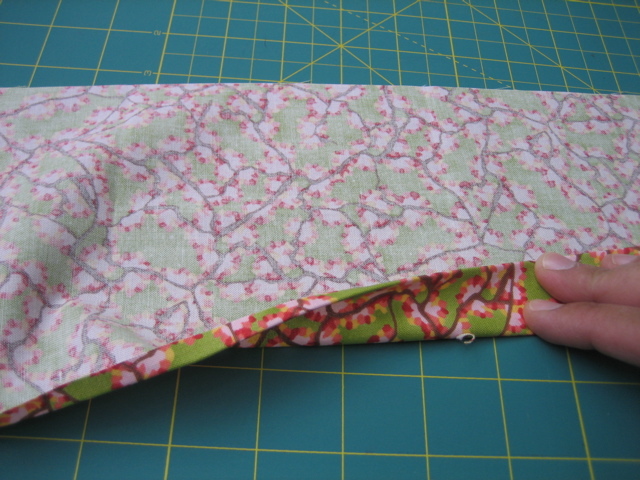 If you want all your seams to match and a nice tight pocket, also sew along the edge of the folded side. 6. Clip corners and turn right side out using a pencil to push out corners. 7. 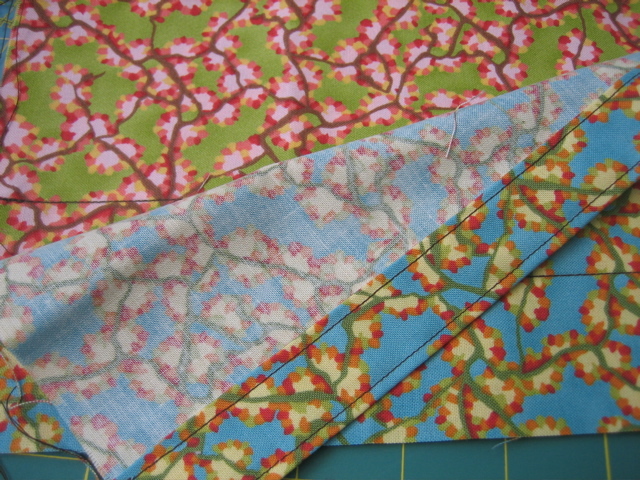 Cut interfacing to size that will fit inside your pocket. Roll and stuff into poket. 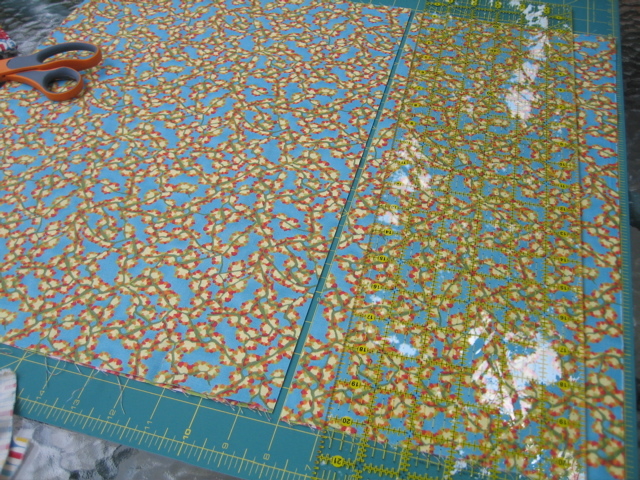 Straighten and smooth interfacing then iron entire poket. 8. Fold in raw edges of opening to match up with the seamed edge and pin. Sew along entire top as close to the edge as possible. Please feel free contact me if you have any questions. 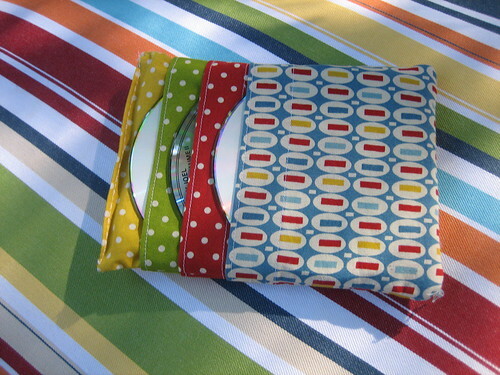 If you make your own CD Poket using my tutorial, I’d love to see it! Please add your picture to the Flickr CD Poket group. YAY! I can’t wait to try it out. Thank you so much! Wonderful tutorial! I came across it from the Sew Mama Sew website and I can’t wait to make it! I’ve been having trouble thinking up a gift for a friend and you’ve just inspired me to make this for her! I’m sure you could… or maybe elastic. You could attach it to the bottom and top seams before closing. Make sense? What fabric is that? It is so pretty! Could you email it to me? Thanks so much I love your tutorial. This looks like fun! I think I’m going to make one especially for my Christmas CDs! Thanks for posting this tutorial! Great idea….thinking of using it as a game prize at an upcoming shower ! I was wondering if you would allow me to sell these on a small scale design. For local craft stalls etc? Thank you so much for taking the time to ask Becky! I think it would be fine for you to sell these on a small scale. Good luck!